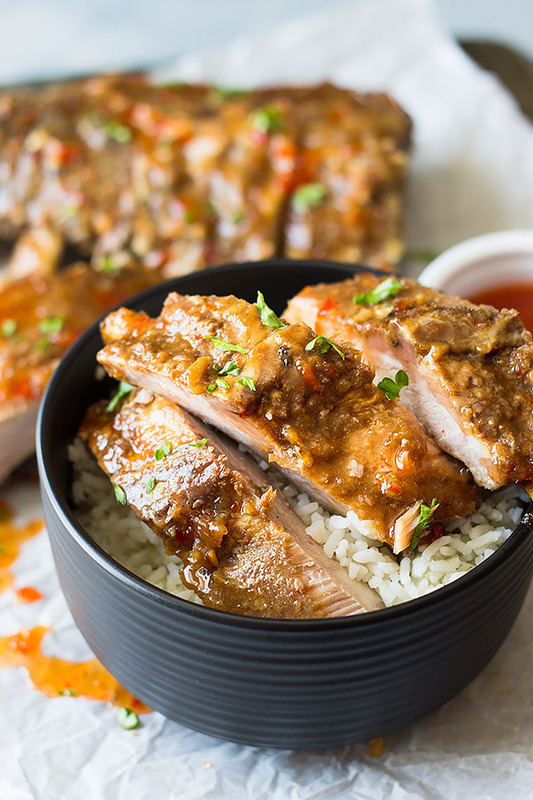 These Slow Cooker Asian Ribs are fall apart tender, slightly spicy, slightly sweet and oh so good!! 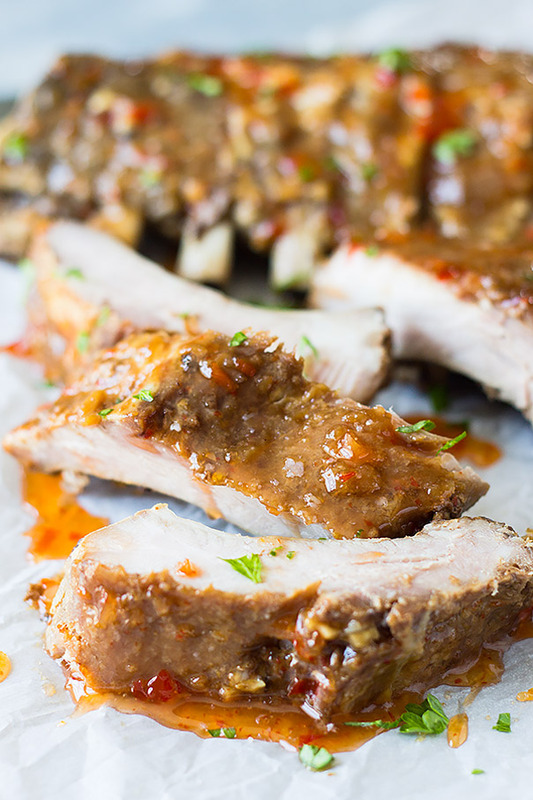 These ribs couldn’t get any easier thanks to the help of your slow cooker! Just throw everything in, set it and forget it! That’s what I love about slow cookers! Now, I do realize this is not the traditional way to cook ribs, but work with me here. Sometimes I’m just too lazy to fire up the grill. And I know there is still plenty of grilling weather ahead but for those of you who don’t grill during the winter months this one’s for you! I promise you these will be incredibly fall apart tender and full of flavor! They are slightly spicy sweet from the chili sauce and if you want more heat add some cayenne powder to the sauce before cooking. These are worth skipping the grill! Cut rack of ribs in thirds and place in slow cooker. 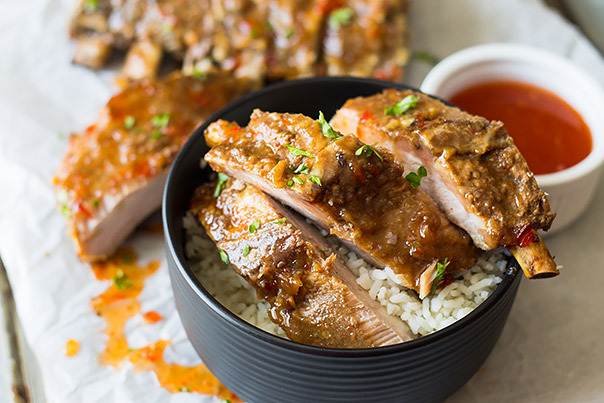 In a small bowl combine the remaining ingredients and pour over ribs. Toss ribs to coat well. Cover and cook on low setting for 8 hours or high for 4 hours. 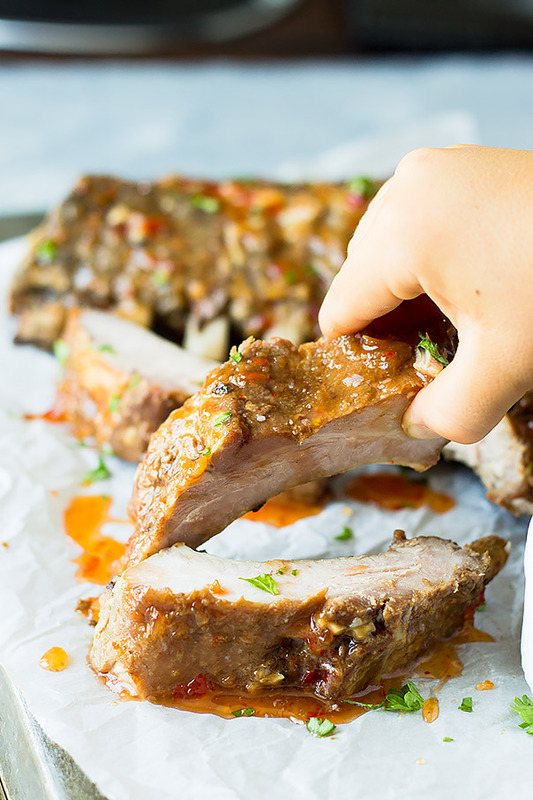 To serve coat with more sweet chili sauce or use juice from slow cooker and thicken with cornstarch then coat ribs with sauce.